I am sure you agree with me: "Camping in nature with your bellowed ones is not safe without good family tent!" Finding a perfect tent for your family, colleagues or friends is not an easy job. But, I have been in your shoes, learned a lot and now I share everything with you. I have divided all family tents into groups of those for 4, 6 or 8+ persons. It is now up to you to decide which one do you need. Now, I will present you each of best 8 person tents as full review. Randomness in weather changes is one of the causes of worry for you when you go out for an adventure. The tent you carry, therefore, could make you nervous every time you see clouds gathering in the sky, or when you realize a change in the speed of the wind. However, if you have a flexible tent that will guarantee you protection and pleasure in any extreme of weather changes this could make you feel at ease, therefore, making you have the best of experience in your camping. Browning Camping Big Horn Tent is a durable and flexible tent that guarantees you protection and comfort regardless of the weather changes. This Browning tent review, therefore, is meant to inform you about this product. Browning Camping Big Tent has a lot to offer as far as your camping is concerned. This tent is durable and flexible to any weather changes. The tent, do not leave you out if you are tall. On the contrary, the shelter is tall enough to accommodate both the tall and short people comfortably. The shelter features walls dividers to enable you to create two rooms in the shelter. The floor of this shelter is made of a tough material which is about double heavier than the usual nylon. The tent, therefore, is durable and strong enough to keep you protected from the unfavorable weather. Beside this shelter features two large doors which provide easy entry and exit from the tent. These doors also enhance ventilation in the shelter for your comfort. The self-supporting three pole plan with fiberglass poles makes it easy to set and bring down the shelter. This shelter has sealed fly seams the prevent leakage into the tent, therefore, keeping you protected from rain. Moreover, this tent comes with pole bag, a stake bag, interior mesh storage pockets and guy ropes. The tent also has fiberglass poles, a tent bag, and a rain fly. The tent measure ten by 15 feet and a center height of 7.3 feet. This feature makes the shelter have plenty of space for two campers. The extra height ensures that tall people are comfortable in the shelter. Two doors and six windows ensure that the shelter is well ventilated and for visibility. The two doors also provide easy exit and entrance into the shelter. The shelter has room dividers; this feature helps to create two rooms in the pavilion if need be. The tent has vertical walls. This provides extra space in the shelter, therefore, keeping you comfortable. Pole clips that readily snap over tent poles; this makes the tent easy and quick to set and bring down, therefore, saving you time and energy. If you are a group of eight people or less looking for a good spacious tent that is easy and quick to assemble, then the Coleman 8-person Instant Tent is designed for you. The tent is also suitable for people camping in areas with adverse weather conditions. Do you want to sometimes create two rooms inside the tent perhaps for privacy purpose? Coleman designed this tent for you. I have therefore done this Coleman 8-Person Instant Tent Review for you. Coleman 8-person instant tent as the name suggests is a spacious tent that is designed to give shelter to eight people or less. The tent is efficient since less time is wasted when setting it up. Its outer frame that is permanently attached to the tent makes setting it very easy and fast. You can therefore assemble and disassemble it with less energy and time wastage. ​Conclusion: This shelter will make your camping memorable because of the comfort in it. It will save you energy and give you enough time for other activities. Coleman designed this tent for quick setting and quick disassembling. Have you made a promise to your family for a long time that one of these fine days you are going to take them out after a long busy period? You want to be a gentleman enough to live up to your promise and avoid making your family victims of a broken promise? Certainly, you are anxious about how that day will be. You want to be close to your family at nights and during the day to make the trip a memorable one. If you want to create a home away from home and still feel at home, Kodiak Canvas Flex-Bow Deluxe 8-Person Tent will give you the home you want. This all-weather tent is designed to go well with whichever occasion whether you go camping with your family or friends. The tent is designed to shelter a maximum of eight campers. Kodiak Canvas Flex-Bow Deluxe 8-Person Tent promises you a lot of fun in your camping. It is an all season tent designed to fit any occasion. This tent is well ventilated and designed to hold a capacity of eight campers. The shelter is made of rugged canvas material, therefore, making it waterproof and durable. The shelter, therefore, guarantees to keep you dry even in the case of rain. The shelter has spring rods that keep it stretched tight even in strong wind. You, therefore, are protected and comfortable. The brace pole rods hold the tent strongly, therefore, protecting you from severe weather. The floor of the shelter is made of strong material for durability and the sealed seams to ensure that you remain dry in the shelter. This tent is easy to set and bring down, therefore, saving you time. The shelter has vertical walls a feature that provides extra space. Besides, this shelter has a center height of 6 feet 6 inches. It is, therefore, comfortable to stand and walk inside the shelter. The shelter also has two large doors which provide entry from the two sides of the tent. These doors also enhance ventilation and visibility in the shelter. The shelter features a gear roof space which provides extra space in the tent therefore keeping the tent organized. This tent covers your doors by featuring a large awning in front the door. Purchasing this shelter comes with ten sturdy steel stakes. There is also some degree of lifetime warranty once you purchase this product. The tent features brace rods and steel tube poles; the tent, therefore, is strong and able to withstand strong wind. The shelter has two large doors; this feature provides easy entry and exit from the shelter. The door also enhances the flow of fresh air into the shelter. ​Conclusion: This tent, therefore, promises to keep you and your family happy and entertained. The product has a good history of service. The tent has therefore been highly rated and recommended by many people have used it. This shelter, therefore, clears all your worries and doubts about the fun and protection in your trip. When you take your family out, all you want is to make them enjoy the beauty of the life out there. If you are looking for a tent that will give your family a chance to have maximum interaction with the environment, enjoy the beauty of the shooting stars and the shining moon at all time and all weather; Wenzel 8 Person Klondike Tent was meant to perform this task. The tent is designed to shelter campers no exceeding eight. It is suitable for you if you want your family to stay together perhaps to feel warm during the retreat. The Wenzel 8 Person Klondike Tent is a tent designed to hold a capacity of eight campers. This tent is well ventilated to keep you and your family comfortable. To keep you entertained the shelter features a large front weatherproof sunshade. The front awning also enables dry entry into the tent. It is made of a weatherproof material to protect you from harsh weather conditions and for durability. The tent also features mesh ceiling ventilation, one door, and two windows to ensure that there is plenty of fresh air in the shelter. The shelter has a rain fly and zippered windows to keep you protected from any leakage in case of rain. This shelter also seeks to maximize your pleasure by featuring electric port to supply you with power. The tent measures 90 square feet a feature that makes it have enough space to accommodate a family of eight people or a group of eight campers. This shelter comes with a carrying bag to make it easy to transport. Moreover, this shelter is easy to set and bring down. Two people can set it and take an approximate of 15 minutes. Certainly, the reason why you purchase a tent when you go out is that you need a temporary shelter that will give you all the comfort that your house gives back at home. This shelter must be easy to set, easy to bring down, fast to set and should be able to accommodate all the campers and protect you from unfavorable weather condition. A tent that goes an extra step to keep you entertained is more preferred compared to a tent that will only shelter you and nothing more. Next time you go camping consider trying CORE 9 Person Instant Cabin Tent - 14' x 9'. This tent is designed to shelter nine campers or less and guarantees them the pleasure of being sheltered and fast setting. CORE 9 Person Instant Cabin Tent - 14' x 9', is designed in such a way that you can instantly set it up in the case of the unexpected weather change. The tent is meant to shelter a maximum of nine campers comfortably. This tent is well ventilated, so you have plenty of fresh air in the shelter. This shelter features a room divider so you can create two rooms perhaps for storage of gears. This tent features wall storage pockets which provide extra space in the tent therefore the shelter is spacious and well organized to keep you comfortable. The tent ensures that you are entertained by featuring an electric port to provide you with power. This port can be zippered when not in use. The Interior H20 Block skill incorporates water repellant material with vigorous drop technology for quicker water runoff. This makes ensures that the tent remains dry therefore keeping you comfortable. The poles of this shelter are pre-attached to the body. Therefore, you just need to pull the tent down, fold pack and go. This shelter also features adjustable ventilations near the floor. For further ventilation, the shelter has meshed ceiling. Moreover, the tent enhances your privacy by featuring zippered privacy panels on the doors and windows. 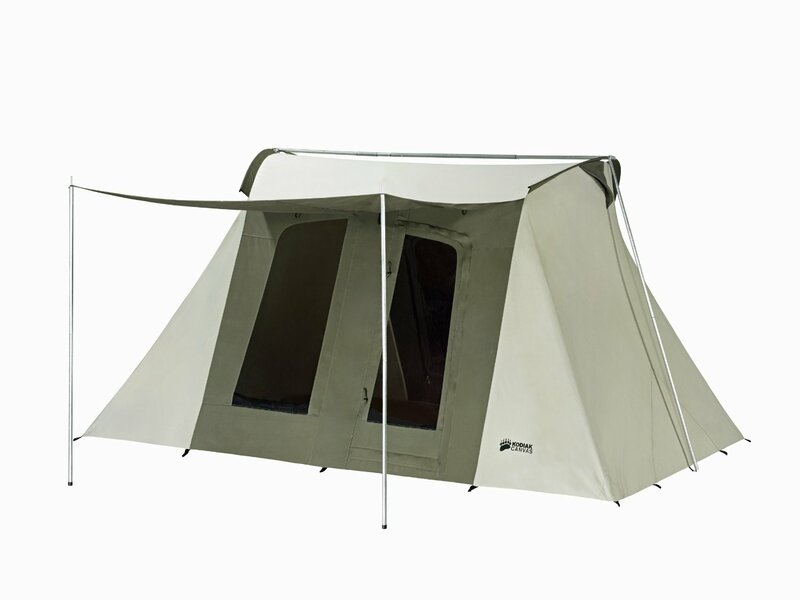 The tent has a large dual door design which provides easy entry and exit into the shelter. Besides this shelter features completely taped rain fly which you can remove to expose mesh windows and the ceiling. Purchasing this tent comes with a carrying bag, the tent stakes, and a one year warranty. The wall storage pockets in the pavilion provide extra space in the shelter for your comfort. ​Conclusion: As seen in the above CORE 9 Person Tent Review, this tent has all the features required to keep you and your fellow campers entertained and protected from adverse weather. This is also evident from the ratings of the tent given by those who have used this product in the past. This tent, therefore, is a great deal for you if you are 9 or fewer campers. You can imagine of that chilly night; you and your friends decide to go camping, but you make a terrible mistake. Each of your friends carries their tents perhaps for privacy purpose. When the night comes each shelter seems to wear a white coat, the trees around appears to be wearing frost sweaters. The night grows deathly cold and lonesomeness strikes with an awful force. Ozark Trail Base Camp 14-Person Cabin Tent is designed to give you shelter, protection, closeness, and privacy. This tent was designed to shelter up to fourteen campers and guarantees you privacy in case you need isolation. Ozark Trail Base Camp 14-Person Cabin Tent aims to shelter a maximum of 14 campers without congestion. This shelter comes with zipped room dividers which you can use to convert the tent from one room to 1, 2, 3 or 4 rooms. The tent increases your comfort further by featuring four doors for entry and exit from the shelter, for visibility and ventilation. The tent has 12 windows to ensure that there is plenty of fresh air in the shelter. The electric port inside the tent provides you with power to make you feel at home, and the big space in the shelter makes you feel relaxed. The shelter also secures you from rain and adverse weather by ensuring that there are no leakages in the shelter. The shelter is long enough for the comfort of tall people, and the vertical walls increase the space in the tent. The shelter has four doors; these doors provide entrance and exit in each of the four rooms, therefore, increasing privacy. The doors also enhance ventilation and visibility. My blood boils when I remember the encounter I had during my vacation three years ago. I had taken my family of 7 members with me for a trip when the unexpected happened. Immediately we were done with setting up our small tent; there happened rapid weather changes and rain started falling. The tent was so small that my elder son and I had to sacrifice for the rest of the family. Since then I bought a Coleman 8-Person Red Canyon tent, which has solved my problem pretty well. This tent is well designed to accommodate eight people comfortably without causing any inconvenience. The Coleman 8-Person Red Canyon Tent is an 8 member tent with enough space to accommodate eight campers. The tent is suitable for an average family, a maximum of four couples, a group of 8 friends, or a situation where privacy is paramount in the tent. It is also advisable for campers expecting severe weather conditions, For example, strong wind. The gear net attached to the ceiling of the tent help in storage of light things like phones and keys. The Coleman Montana 6 - 12'x7' 6 Person Tent is one of the tents in Coleman’s series of tents which is designed to shelter six campers. Like many Coleman’s shelters, this tent has many features that ensure you are sheltered, protected and entertained. These features are discussed in this review. This Coleman Montana 6 person tent is spacious enough to shelter campers not exceeding six people. The shelter is well ventilated; so you don’t need to go out now and then for fresh air. This is because the tent features a large awning which directs fresh air across the shelter, a large door with a shape and meshed ceiling which facilitates more ventilation in the shelter. To keep you dry and comfortable in the shelter, the floor of the tent is made of rugged weatherproof material and welded seams. The floor, therefore, is resistant to damage as well as free from any leakages of water from the ground. The wall of the tent is made of a tough and durable material; the tent, therefore, will serve you for a long time and save you money. Besides the shelter features a meshed roof which facilitates ventilation as well as preventing condensation. Your comfort is therefore guaranteed while in the shelter. The shock-coded fiberglass frames make it easy and fast for you to assessable the shelter. Moreover, the shelter features tough polyester fly which does not stretch even when exposed to water; the shelter is, therefore, strong, and durable. The pin and ring pole to body connection design also makes the set-up of the tent fast and simple. To keep you entertained the shelter has an electric access port to provide you with power. The shelter also features interior storage pockets to provide you with extra space to store small gadgets. The inside of the shelter is, therefore, spacious, and organized to keep you comfortable. The shelter comes with a mat to place your muddy shoes, so you don’t need to carry them into the shelter. The stability of the shelter is guaranteed by the featuring the external guy points which support the tent keeping it strong. This shelter comes with carry sacks and stakes. The tent has the following features that make it able to meet all your desires as you go camping. Has a door awning; this feature protects you from the sun as well as enhancing cross ventilation in the tent. Has a cabin design with angled windows; this makes it possible for you to open the window even during the downpour without the rain water getting into the shelter. The tent, therefore, is well ventilated regardless of the weather condition. Features interior storage pockets; this feature provides extra space into the tent for your comfort. Mesh ceiling; the tent has a meshed ceiling which enhances ventilation and more sunlight into the shelter to keep you warm and comfortable. Has electrical access port; this feature provides you with power for lighting other electrical gadgets. Features continuous pole sleeves; it is, therefore, simple and fast to set. Has patented welded floors and upturned seams; this feature prevents leakages of water through the floor, therefore, keeping dry and comfortable in the shelter. Instant- Clip TM Pole Attachments make the tent sturdy to withstand powerful wind. Has color-coded poles; the shelter is, therefore, is simple to set-up. Comes with a carry bag among separate sacks for poles and stakes. Measures 12 by 7 feats. It is, therefore, spacious enough to hold six campers with two queen mattresses. Has a pick height of 8 feet 6 inches; you can therefore stand and move freely in the pavilion. It is made of polyester taffeta 75D which makes it strong and durable. Easy to set and bring down. The CORE 6 Person Instant Cabin Tent - 11' x 9' is a tent designed to sleep six campers, easy to set-up and bring down, and fits two queen air mattresses. Therefore, when you to go out with your family or friends this Core 6 person Cabin Tent is meant to ensure that you are comfortable in your camp. This tent review aims to honestly present this product and inform you so that you can make a wise decision while choosing the shelter. The CORE 6 Person Instant Cabin Tent as the name suggests is a tent which is designed to accommodate six people without congestion. The tent is easy to set-up and easy to bring down. The shelter, therefore, saves you time and energy you could use setting up the shelter to do other constructive things. The shelter is designed in a way to keep off rain water either through the ground the doors, the windows, or the wall. This is because the shelter has sealed seams, rain resistant doors and windows seals, and the body is made up of water repellant material to prevent leakages of through the walls of the tent. Moreover, this shelter has a removable tape fly which can be removed to expose the meshed ceiling of the pavilion. You, therefore, can access sunlight to keep you warm if need be. This shelter employs the adjustable ventilation design with to get in cool air from the surrounding and the mesh ceiling help to get rid of the hot air through the top of the shelter. This shelter, therefore, ensures you are comfortable regardless of the weather condition. The zippered privacy panels on the windows and the doors ensure your privacy in the tent when need be. You are therefore at ease in the shelter. Besides the tent has a gear loft, a large wall organizer pocket, and a lantern hook. These provide extra space in the shelter, therefore, keeping your shelter organized for your comfort. Besides the shelter is designed to facilitate fast water runoff, therefore, ensuring you remain dry and comfortable. This shelter comes with rain fly, tent carry bag, and tent stakes. The tent has a Core H20 Technology and adjustable ground ventilations; this feature enables you to regulate ventilation in the shelter depending on the weather condition. The shelter features an electrical access port which provides you with AC power for lighting and for other electrical gadgets; keeps comfortable in the shelter. This shelter has a center height of 72 inches. It is, therefore, convenient to stand and walk freely in the tent. The gear loft, the lantern hook, and the wall organizer pockets provide you with extra space in the shelter, therefore, keeping it neat and organized for your comfort. The mesh ceiling provides you with more sunlight as well as facilitating ventilation in the shelter to keep you comfortable. The shelter features a removable tape fly. You can, therefore, remove the tape fly to expose the mesh ceiling for sunlight. Easy to set-up and bring down. ​Conclusion: As seen in this review, a group of six campers or less would certainly require CORE 6 Person Instant Cabin Tent because it guarantees them comfort happiness and protection against adverse weather condition. The features of this shelter give it all the qualities of a good pavilion. Apart from a few complaints from customers regarding the door zippers the shelter, generally is good and recommendable for you to try. The Coleman Sundome 6, 10'x10', dome tent is a tent in Coleman’s Sundome series of shelters which is designed to sleep, 6 people. This tent is designed in a way to ensure that your happiness is assured in your expedition. Therefore, if you are a group of six campers or a family of six members or below, this tent review is meant to inform you about this tent before you make the wrong choice of a shelter. The Coleman Sundome 6, 10'x10', dome tent is a tent designed to comfortably accommodate six people without congestion. The tent is well ventilated to ensure that you feel at ease in the shelter. The tent is made up of weatherproof material to ensure its durability and to protect you from harsh weather conditions. The floor is designed to prevent any leakage. Therefore, you remain dry and comfortable in the shelter. The wall of the tent is made of a strong polyester material, therefore, making it durable and able to protect you from extreme weather. Just like many other Coleman’s shelters, this tent is easy to set and bring down. The shelter features interior storage pockets which provide extra space and the electric access port to provide you with electric power to keep you happy in the shelter. This tent also features the exterior guy points which hold the shelter keeping it strong and able to resist strong wind. This tent, therefore, will protect you from windy weather. Moreover, this tent comes with instructions sewn on the carry bag. Therefore, they are easy to access and hard to get lost. This shelter also comes with the carry sacks and all the stakes. The self-supporting design of the shelter makes simple and fast to set. Electrical access port: this feature provides you with AC power for lighting and to use with other electrical gadgets to keep you contented. Gas a vented Cool-Air port for extra ventilation and to prevent condensation. Features interior storage pockets; these pockets provide you with extra storage for small gadgets, therefore, keeping the shelter neat and organized for your comfort. Has continuous pole sleeve technology; the shelter is, therefore, simple and fast to assemble. The fix and ring alongside the pole to body connection design of the shelter makes it easy and fast to set. Comes with external guy points; this feature holds the tent, therefore, making it strong to withstand strong wind. The shelter is, therefore, suitable for protecting you in adverse weather. Features two windows and the ceiling vents; these ensure that there is plenty of fresh air in the shelter for your comfort. The review below describes Wenzel Blue Ridge 14x9 Feet 2 Room Seven Person Tent with the aim of informing you of the promises which the tent makes, its features, pros, cons and where you can get this product. Wenzel Blue Ridge Tent is designed to shelter you and other six campers comfortably. The Wenzel Blue Ridge is a two roomed shelter from Wenzel which is spacious enough to accommodate a maximum of seven people. This tent has removable dividers so you can choose to create one huge room for your gang to feel warm at night. The shelter is long enough for the comfort of tall people so you can stand and move freely in the tent. This tent features four interior storage pockets which provide extra space in the shelter. The floor of this tent is made from polyester with a welded polyethylene material; it is, therefore, strong and resistant to damage. Besides the floor of this pavilion has removable seams and a reversed rain fly that prevents leakage from the ground. The shelter, therefore, keeps you dry and comfortable. The shelter is well ventilated, and circulation of fresh air is guaranteed. To increase the stability of the tent, the shelter comes with guy ropes. You, therefore don’t need to worry since the shelter is strong enough to protect you even in gusty weather. Like other Wenzel products, this tent was manufactured with durability in mind, flexibility and its ability to keep you comfortable. The tent also features fiberglass poles which make it easy to set and bring down. A removable zippered curtain divider; this feature enables you to create two rooms in case you need privacy or remove to remain with one big room if you are free enough. The tent features a Mesh roof which enhances ventilation in the shelter. This shelter has E port which provides electric code access to give you the electric power to keep you entertained in the shelter. The shelter is made of a polyester material a feature that makes is strong and durable. The tent has guy lines; these hold the shelter and make it strong enough to withstand windy weather. The tent, therefore, ensures your protection adverse weather. The inside of the shelter has four gear storage pockets; this feature provides extra space and keeps the tent organized to keep you comfortable. The large door provides entry and exit, facilitates visibility, and enhances ventilation in the shelter as well. The floor of the shelter measures 14 by 9 ft; this tent, therefore, has enough space to accommodate seven comfortable campers. The 72 ft peak height of the tent makes it convenient for tall people. The shelter has stripy pole over the door which offers extra protection against rain. The tent has fluttered window which enhances ventilation as well as giving you privacy. ​Conclusion: From the above review, I conclude that Wenzel Blue Ridge Tent is a great deal that you cannot afford to ignore if you are looking for a comfortable and entertained camping. This tent is flexible weather you go camping with a group of friends or your family members. The shelter has been used before, and the customers have appreciated the service. You have a little time off work, leave from work or holiday, and you want to have the best out of your leisure, then you decided to spend the time camping with your loved ones. However, most of your camping experiences were not enjoyable due to the camping tents you used. Now another opportunity is approaching, and you are asking yourself which tent you should go for. We are here to help you, so you don’t need to worry. So you have a small family or a small group of friends that you love to spend the time camping outdoor, Coleman WeatherMaster Tent might be the best choice. This tent has a roomy cabin that can accommodate up to six adults. Besides durability, it is weather proof such that you remain dry and warm even when it is raining heavily. It has a convenient height that gives you enough headroom for standing. It has good ventilation design that allows for sufficient air circulation making you comfortable even during the hot summer months. The screened porch prevents bugs and mosquitos from gaining access into the tent. Patented WeatherTec system keeps you dry and warm no matter how heavy the rain is. The screened porch takes care of bugs and mosquitos allowing you to enjoy the outdoors inside the tent and also serves as an extra sleeping space. More room space with two queen-size beds makes it ideal for extended stays. The large and specially-angled windows keep off rain and at the same time give room for sufficient ventilation. The strong steel frame can withstand strong winds. You certainly don’t like doing with more that which you can do with less. When you go out camping you need a shelter that will take you the shortest time possible setting, a tent that you will be comfortable and feel protected. Coleman Instant Cabin Tent is a tent that was designed to shelters a maximum of six campers. Therefore if you are a group of six people looking for a tent that will save your time and energy. Coleman Instant Cabin Tent is a great tent and offers a lot to keep you happy in your camp. This tent just like other Coleman tents is easy to set and easy to bring down. The shelter is well ventilated so you can sleep comfortably with your fellow campers. This shelter is spacious enough to fit 2 square queen mattresses and still leave you some space for your comfort. The tent is made of sturdy material that can resist damage. The tent is, therefore, durable and able to protect you from adverse weather. Moreover, the shelter has a center height of 6 ft 2 inches. It is therefore long enough for you to stand and move freely inside. The floor of this tent is made of weatherproof material. It is, therefore, capable of keeping off foreign particles from the tent. The floor and the windows of this tent are made of a waterproof material; this prevents leakages from either the walls or the floor. You, therefore, remain dry and comfortable in the shelter. Shelter comes with poles that are pre-assembled. You, therefore don’t need to set each pole at a time. Instead, you just spread the poles and move on. This shelter, therefore, is super easy to set and easy to bring down. The shelter is made from the 150D/150D polyester material; this feature makes the tent strong, durable and able to protect you from unfavorable weather conditions. The shelter body has sealed seams a feature that prevents leakage of water from the walls and the floor. You, therefore, remain dry in all weather situations. Comes with Pre-assembled poles; the shelter has poles that are already set. This feature makes it fast to set and bring down the pavilion, therefore, saving you time and energy. To give you extra protection from the adverse weather this shelter features built-in vented rainfly. The shelter also features illumine reflective guy lines; this feature facilitates visibility at night. This shelter has large windows on the two side’s one large window at the back, one near the door and one in the door; this feature ensures that there is plenty of air in the shelter for you to be at ease. The shelter also features two roof vents with zippers; this feature facilitates extra ventilation into the shelter. When you and your close friends go camping, generally you have one core objective; having fun together. Sleeping night after night and spending day after day in an uncomfortable camp is the last thing you can imagine. However, the wrong choice of the tent would certainly make this inevitable. Sundome 4 Person Tent (Green and Navy color options), was designed to give shelter to a maximum number of four campers looking for maximum enjoyment. 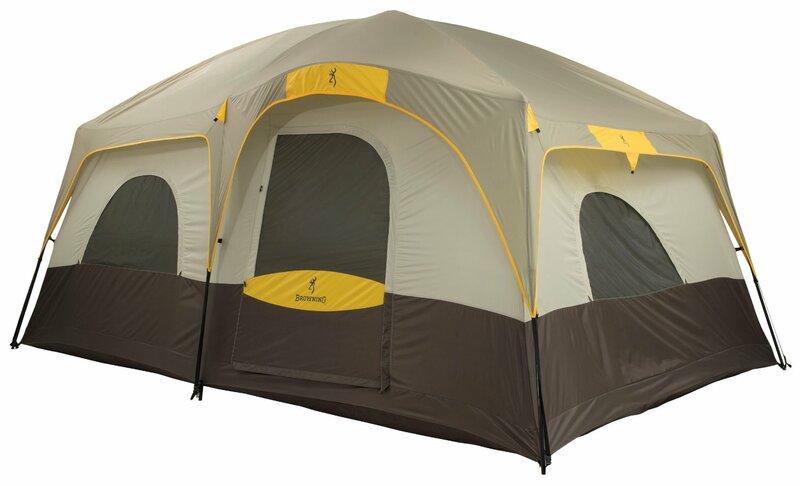 The Sundome 4 Person Tent is one of Coleman’s series of tents that is intended to shelter four campers contentedly. This tent has features that keep it well ventilated even in the case of a downpour. Getting in and out of the tent is made easy by the large doors of the shelter. Besides, the tent is free from any leakages either from the walls ceiling or the floor. The tent is easy to assemble and easy to take down. It is, therefore, convenient and saves you time. The materials used to make the shelter are of high quality, therefore, enhancing its durability. Two mesh pockets on the inside of the tent provide more space for storage; therefore, you feel more comfortable in the shelter. The shelter also gives you a chance to enjoy the good looks of the sky while in the shelter when the weather is favorable. The electrical access port in the tent provides you with power to make you feel at home. Moreover, the tent is easy to transport therefore saving you energy. The fry of the shelter is hooded; this ensures that the tent is well ventilated even if it rains. ​Conclusion: The tent reviewed above has all it takes to give you, and your friends, shelter and happiness you are looking for when you go camping. Setting up and bringing down a tent is a tedious activity. Assembling the poles and spreading the body wastes time that you need to enjoy your adventure. FiveJoy Instant 4-Person Pop Up Tent saves you time you take setting up the shelter so you have time to do other constructive things in your trip. This tent was designed to pop up and set up in a supersonic speed. The shelter sleeps a capacity of five campers. FiveJoy is a shelter designed for fast and automatic set up. Once you remove the wrap and unstrap it, the shelter pops up and opens to a free standing tent. You, therefore, don’t need to assemble each section of the tent at a time. This shelter comes with carriage bag. It is therefore easy to pack and transport. This tent is well ventilated and spacious enough for your comfort. The interior storage pockets and the hanging loop in the shelter offer extra space for the shelter to remain organized. This shelter is multipurpose. The tent is flexible; you can, therefore, use the shelter in wide range of occasions from family camping to mountain climbing. Moreover, this tent is mate of strong material so the tent is resistant to damage and will serve you for a long time. This shelter comes with a carrying bag together with the stakes. Storage pockets and hang loop; this feature provides you with extra space to store your extra gear. The shelter, therefore, remains neat and organized ensuring your comfort. The tent features meshed windows on the right and the left; these windows enhance visibility as well as facilitating cross ventilation in the tent. The windows are covered with nylon flaps which add to privacy in the shelter. The shelter has two doors covered with nylon flaps; these doors provide easy entry and exit from tent, ensure that there is plenty of fresh air in the shelter, and the flaps keeps you secured. The shelter has long lasting seams, waterproof PU coated polyester and high quality zippers; this features enhance durability of the shelter as well as the ability to keep you protected from adverse weather conditions. Free standing shelter; this feature makes the shelter easy to set and bring down. The feature also makes the tent strong and able to resist strong wind. The doors have screen panels which enhance visibility when the door is closed. ​Conclusion: From this review I highly recommend that next time you go camping, you consider this lightweight shelter with supersonic speed set up. Selecting a tent these days when there are many different tents in the market is challenging, and there is a probability you purchase the wrong tent if you don’t know the exact features that suit you in your trip. This tent is designed to shelter a maximum of four comfortable campers. The Kelty Acadia 4-Person Tent is a great deal when it comes to camping if you are time conscious. The tent is designed for fast and easy set-up. This shelter measures 98 by 87 by 59 inches. The tent, therefore, is spacious enough to comfortably, shelter you and other three friends. The shelter is well ventilated to keep you comfortable and ensure that you enjoy your trip. The tent is strong and able to withstand sturdy weather and protect from severe weather conditions. The free-standing design makes the shelter strong to resist sturdy wind as well as making its set-up a super easy exercise. ​The tent is lightweight making it possible for you to backpack and go. This shelter is made of weatherproof polyester material. The tent is, therefore, durable and able to protect you from adverse weather. Has three poles design; this feature makes the tent easy and fast to assemble, therefore saving you time and energy. Weanas Backpacking Tent is great tent from Weanas which is designed to sleep for happy campers. As discussed in this review this tent is a great deal when it comes to camping whether you camp with your family, friends or you go climbing mountains. The tent is meant to shelter a maximum of four campers. The Weanas Waterproof Double Layer 4 Person 3 Season Backpacking Tent is designed to serve a multipurpose function. This shelter has all it takes to keep you happy, comfortable and protected in your camping. The shelter has a waterproof double layer which ensures you are dry and comfortable. Moreover, the shelter is easy to set and bring down; one person can, therefore, comfortably set this shelter without any difficulties.The tent has strong aluminum poles; the shelter is, therefore, lightweight and sturdy; it is, therefore, easy to carry and able to resist strong wind. The doors of the shelter can be opened from both the in and the outside making it convenient for entry and exit. The inner tent is made of 210T polyester cloth and B3 nylon airy mesh. The tent is, therefore, strong, durable, weatherproof and well ventilated for your comfort and protection. The shelter ensures that you remain dry and comfortable by featuring a waterproof groundsheet. The rain fly is made of a waterproof material which prevents leakage of water through the rain fly into the shelter the tent, therefore, remains dry even during the downpour. Besides this shelter, has a double layer whereby the outer layer is removable when the weather is favorable. It can also be used as a storage room to provide extra space. The tent features dual doors which enhance entry and exit as well as ensuring that there is plenty of fresh air in the pavilion to keep you at ease. The door curtains of this tent can be rolled up and folded making convenient. The shelter body is made up of nylon material which makes it strong, waterproof and durable. This shelter is designed the strong skeleton and tent nails which make it able to withstand strong wind. Upon purchasing this product, the package comes with four fixed ropes, one inner tent, 12 tent stakes, a carrying bag 2 frame poles and fly sheet. Strong aluminum poles; this feature makes the tent light and strong to stand the strong wind. The tent is convenient for backpacking and hiking. The shelter features two doors with curtains that can be folded; these doors provide entry into the shelter as well as enhancing cross ventilation in the tent. This keeps you contented while in the shelter. The tent has two sides of ventilation windows which can be easily closed and opened; this feature provides extra ventilation in the shelter for your comfort. This shelter features wind ropes all around the shelter which strengthens the tent making it able to resist strong wind and protect from adverse weather conditions. Made of polyester; this feature makes the tent strong and durable. On the top of the outer tent, there is a closeable ventilation skylight. This feature provides extra ventilation and sunlight during the favorable weather condition. ​What is a Family Tent? ​If you are a lover of outdoor activities, then a tent is one of the tools that you should have for a nice camping excursion. A family tent can be described as a very important tool that can be used to house the family while away from a camping trip. This tool will save your family from the severe environmental effects that can be harmful to you while camping far away from home. It is important to understand that tents come in various designs, structures, and colors which all have been created to meet various family needs when you are camping at a place that does not provide buildings. Some of this location can be set in the forests, parks and during sporting activities. When buying a family tent, it is important that you look into your preferences and the how you are most likely to utilize the tent. For example, if you are camping during the summer you will not expect to use the same kind of tent as in the winter. You will use a specially designed tent that can be useful for different seasons and times during the camping period. You should take these things into consideration like geographical location and the time of year that you are travelling. It is also important to be alive able inquire yourself how much money you are willing to use up on the tent of your dreams. This will enable you to factor in your financial potential to buy the right type of tent that you require for your trip. Care is also another factor that you call for to take into consideration when you are looking to acquire a tent. Unfortunately, you might end up damaging the tent, and many companies do not factor in servicing the same way if it is due to neglect and mishandling. It is important to know that servicing a tent can become rather costly, and these expenses can add up over time. So it is good when you acquire the tent you make sure that is properly handled to avoid damaging it. Quality is something that you necessitate to consider when acquiring a tent. Don’t be drawn by the price and end up buying a tent that will only serve you for a few days and up destroyed. Sometimes it is worth paying the extra dollar to get something of higher and longer lasting quality. 1. Three season - This type of family tent is planned to keep your family cozy and dry in any weather conditions that you may find yourself in. These tents too are structured to provide you and your family with good ventilation and protection. They are well built to prevent the tent from strong wind by constructing the walls of the tents with a good amalgamation of mesh in addition to solid equipment. However, the tents are not suitable for snow weather, so that is something to take into consideration. 2. Convertible - This variety of tent is suitable for campers who find themselves in almost all kinds of weather conditions. They have a high breed design that enables the user to become accustomed the tents to whatever weather situation that they require. It enables the user to strip the tent down throughout the Summer, months and fortify the tent when it comes to stormy trips. These convertible tents are versatile, but they are heavier than other tent models. 3. Mountaineering - This category of the tent is built out of tough fabrics and has powerful pole structure, as well as plenty of guy-out points that are well fixed to the type points on the tent’s fly. These tents are set for the very harshest weather conditions. At the same time, the boulder-like shapes help this kind of tents to shield the wind. How Are Family Tents Structured? Ceiling loops - These are good features that can help you to hang items such as the lanterns. They also help to dry wet items like socks and other things. Metal pole junctures - They are also known as the hubs. They aid the tent to achieve sturdiness which allows the tent to join at different lengths. They cut the tent weight and pull out a canopy roof of the marquee to create more space in the tent. Guy-lines - They lend a hand the tent to gain extra stability when it comes to harsh weather conditions such as the rain, stormy winds, and snow. One can attach the same to guy-out-loops which can be located on the perimeter as well as on the rain-fly. It is advisable to use the philosophical cords to avoid tripping in the night. Inner canopy - These are usually built in double wall tents. They are breathable and made of mesh. They are good for ventilation and allow the moist air in the tent to escape instead of condensing in the tent. The tents are a great technique to keep bugs out. Rain-fly - They are structured with nylon materials and well coated with silicon. The rain-fly, on the other hand, covers the tent allow a few inch space connecting it and the shelter to consent to for good airflow. Poles - The poles are important in that they ensure the tents skeleton and it is vital that you treat them with great care. You should also remember not to sudden the poles together. It is important to consider the different characteristics involved in the tent before making your purchasing. You should know what different aspects make a quality tent, and which ones will fit your personal needs. A-frame - It is an uncomplicated and a traditional tent shape which offers light and reasonably priced means of creating shelter. The A-frame features the sloping walls, which limit the head as well as the broad sideways of the pavilion to avoid getting battered by winds. These kind of tests are favorable for light weather conditions. Modified A-frame - The modified A-frame are set in such a way that the center has a loophole and ridgeline pole. which helps the tent to create a unique interior space. This creates a much more stable structure for the tent. Dome - The dome tents come in a variety of sizes, pole configurations and arched ceilings that provide nice stability during harsh condition. At the same time, they offer an ample interior design. It is solitary of the best options that can offer families a good camping experience. This kind of shape provides the good amalgamation of both weather resistance and weight. However, these tents are not freestanding, which means you will do with plenty staking of the tents to accomplish the ideal shape. Pyramid/tepee - This is not the supreme choice for families. However, it can be a good choice for an unrehearsed adventure. It is almost the same as the rain-fly, in that it is supported by a vertical center pole which is staked hooked on the ground. The shape provides excellent space, but the floor device is not great for wet weather conditions. Wedge - This kind of a tent is usually higher at the end along with minor at the foot. They are somewhat smooth and usually light, but the heart is a bit sacrificed when it come to the headroom. Freestanding - The freestanding tents are usually erected lacking the need for stakes. This makes it better for the best camping spot. It is good always to take down this category of the tent to ensure that it is not blown away by strong winds. Non-freestanding - The tents use stakes to create a good structure. This will need the pitching of the stands in the sand and snow in a more careful way. The tents are lighter than the unattached tents and will fit nicely into tight spots. One door tents - This kind of tents have one door and will need the people getting into creep over one an additional to get in the tent. Fiberglass poles - The fibreglass poles are usually found in more inexpensive and lighter duty tents. They come at different qualities and prices, ranging from higher to lower durability. Aluminium poles - Most of the good tents willpower have aluminum poles which are easy to reinstate and they are light in weight. Carbon fiber poles - They are found in ultrahigh tents whereby they are very light and very strong at the same time. Although they are not as strong as the aluminum, they are much more expensive. Sleeve pole connection - this kind of polls feed into the continuous sleeves that are along the bogey of the exhibition area. This will help the exhibition area to form a solid structure and is very well prepared to handle intense wind conditions. The condensation of the air inside the tent is a bit of an issue and the ventilation on the inside is not the best. Clip connection - This kind of complex can be fast and easy when using the plastic clips that are attached to the tent and to the poles. While in the tent you will experience a superior inflow of air ,but the tent stability at times of strong wind can be an issue. Double wall construction - The double wall tent willpower use an inner canopy that will ensure that rainwater is kept out. These twice over wall tent are less expensive and they will help you along with your family keep dry throughout the entire camping period. They also have superior ventilation's that will keep the people inside the tent feeling like they can breathe freely. Single wall construction - The single wall tents use only a single layer of breathable fabric that acts as the water proof and will build the tents lighter furthermore easier to set up. At times the condensation can be a big problem in this category of tent, which will bring in a lot of coldness during the cooler weather conditions. In conclusion, it is important to have a keen interest in selecting the right kind of tests when you are taking your family out for a camping experience. This is to ensure that you don’t disappoint your group during the camping period. At the camping site, it can be a tricky situation if your tent is not protecting you from the weather conditions. This can really make you uncomfortable and take away from the enjoyment of the trip. I would suggest that you carry on a pre-visit of the camping site or sites and understand the various weather changes that are involved in the area before deciding on the kind of tent you want. Tents are important structures that can be of great use to a family, as well as other campers that need to have fun far away from home. In order to ensure that the fun is maintained it important to look for the right kind of tent that will not disappoint.